Visual reinforcement learning implies that, decision making policies are identified under delayed rewards from an environment. Moreover, state information takes the form of high-dimensional data, such as video. In addition, although the video might characterize a 3D world in high resolution, partial observability will place significant limits on what the agent can actually perceive of the world. This means that the agent also has to: (1) provide efficient encodings of state, (2) store the encodings of state efficiently in some form of memory, (3) recall such memories after arbitrary delays for decision making. In this work, we demonstrate how an external memory model facilitates decision making in the complex world of multi-agent ‘deathmatches’ in the ViZDoom first person shooter environment. The ViZDoom environment provides a complex environment of multiple rooms and resources in which agents are spawned from multiple different locations. 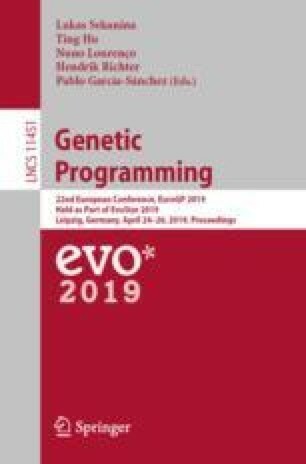 A unique approach is adopted to defining external memory for genetic programming agents in which: (1) the state of memory is shared across all programs. (2) Writing is formulated as a probabilistic process, resulting in different regions of memory having short- versus long-term memory. (3) Read operations are indexed, enabling programs to identify regions of external memory with specific temporal properties. We demonstrate that agents purposefully navigate the world when external memory is provided, whereas those without external memory are limited to merely ‘flight or fight’ behaviour. This research was supported by NSERC grant CRDJ 499792.